Skepticism | ADULT CATECHESIS & CHRISTIAN RELIGIOUS LITERACY IN THE ROMAN CATHOLIC TRADITION: hosting ONLY True Christians!! !, or "How to think Catholic!!" Credo ut intelligam is an axiom of St Anselm, Doctor of the Church, (1033-1109 AD). Understanding the Gospel with assent does NOT precede faith, and never will. Whatever progress we make in understanding the Gospel, incrementally, in our lives, incredibly slowly, is preceded by faith. Faith is required. Pray for it. Pray for me. The reason many people find Christianity bizarre is they try and understand it the same way they understand everything else new, ever, in their lives. They research it, analytically. Anselm posits, it will NEVER make sense to anyone that way. Christian faith is a product of supernatural grace and supernatural faith. Not natural faith, “I believe in the law of gravity.” Not mortal grace, whatever that is. But, a gift, a mystery. Recall the Catholic use of the word “mystery” is inverse to the English use of it. Catholic mystery is infinitely knowable. “I believe, so that I may understand.” Help my unbelief, Lord. “…skepticism…stems from the fear of making a mistake, and is based on its own form of spiritual paralysis and even despair…Reasonable openness to God, then, is a source of spiritual youth in any person or culture…Refusal of the mystery of God makes us the unique masters of ourselves, but also imprisons us within the ascetical constraints of our own banal finitude…Posing questions about God opens the human being up to new vulnerabilities, and therefore also to new forms of happiness that the artificial limitations of skepticism cannot foresee. Between the two extremes is the middle way of “faith seeking understanding,” one that is both human and Christian. We should accept instruction but also examine it critically and studiously, seeking to find the truth in what is said, to test it…Likewise there is a discipline of the mind in becoming a Christian, learning the truth as revealed by God, and developing an intellectual understanding of God’s mystery. -White, OP, Rev. Thomas Joseph (2017-09-13T23:58:59). 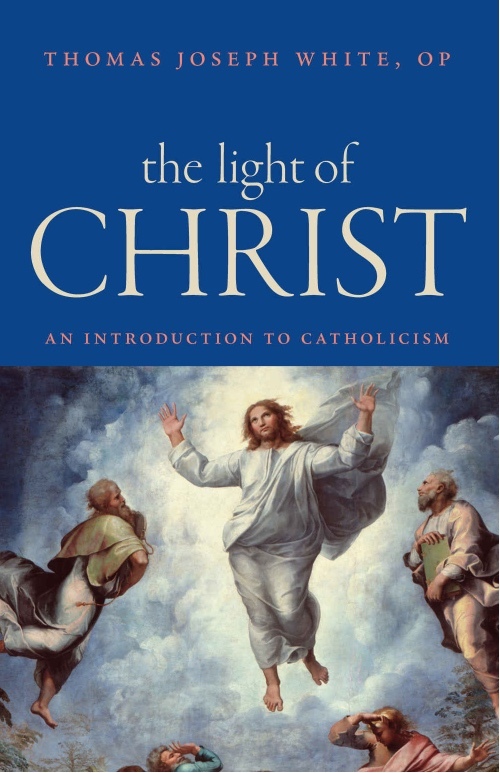 The Light of Christ: An Introduction to Catholicism (Kindle Location 656, 665-667, 679-673, 676-681, 685, 688, 693-694, 696-697, 702-719). Catholic University of America Press. Kindle Edition. 17. Augustine, On the Profit of Believing, pars. 10–13, 22–27. 18. Thus Anselm, Monologion, par. 78, echoing Augustine; trans. J. Hopkins in A New, Interpretive Translation of St. Anselm’s Monologion and Proslogion (Minneapolis, Minn.: Arthur J. Banning Press, 1986). 19. Augustine, Concerning Faith of Things Not Seen, par. 2. 20. Aquinas, Summa Theologiae II-II, q. 1, a. 1; q. 2, a. 1 [hereafter “ST”]. All translations of ST are taken from Summa Theologica, trans. English Dominican Province (New York: Benziger Brothers, 1947). 21. Anselm, Monologion, par. 68.